In 2015 our founder, Jason Apolinario, was going through a difficult but amicable breakup with his girlfriend of three years. The weekend that she was moving out, she texted him that she would probably cry into a bucket of ice cream for a month. He texted back “Salty Caramel Tears? ", and from that, a company was born! A brand of artisanal ice cream based on feelings and expressions. Check out our menu of flavors, including Salty Caramel Tears™, Wake me up before you Coco™, and Olive You Forever™. We use high-quality, sustainable ingredients, such as organic cream and eggs, organic cane sugar, and handcrafted mix-ins. 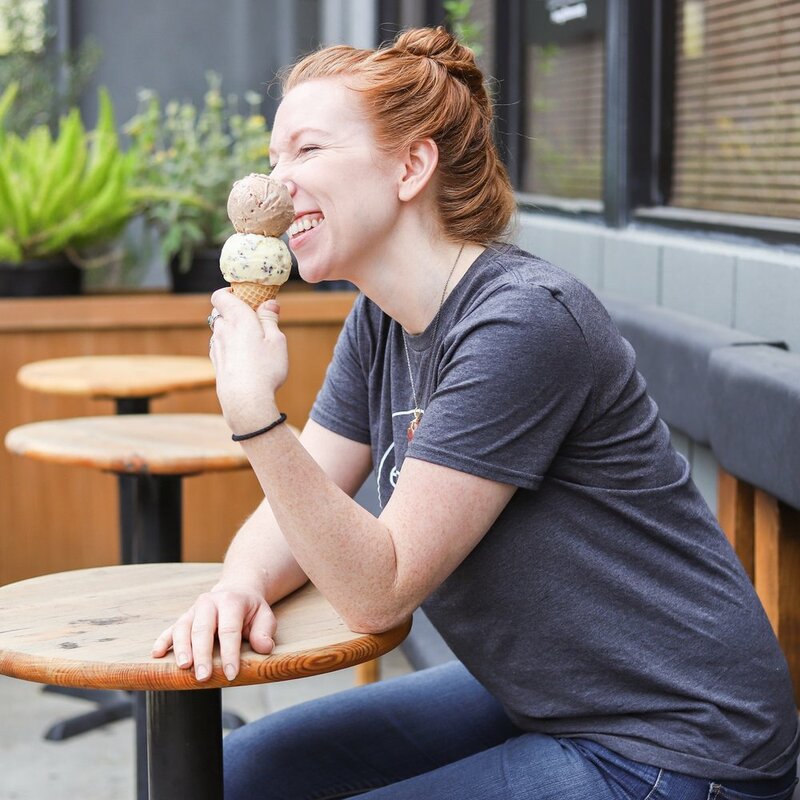 We offer a full-service ice cream bar, including on-premise scooping and curated menu for your holiday party, company celebration, wedding, or any event. Choose from our core flavors or ask about custom options too! Contact us to inquire about booking an event.